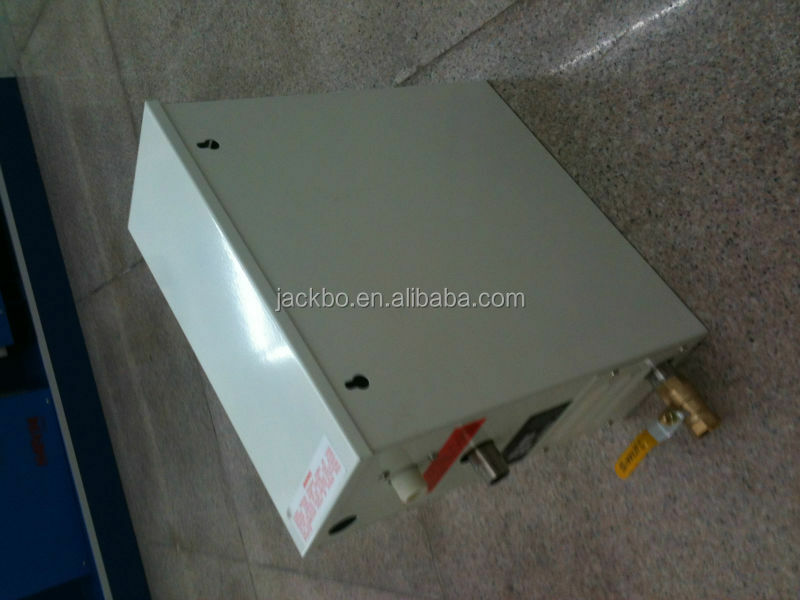 SS304 high-quality stainless steel water tank. Housing of SS304 or carbon steel with galvanized and powder coating, corrosion-resistant, excellent color and gloss retention. 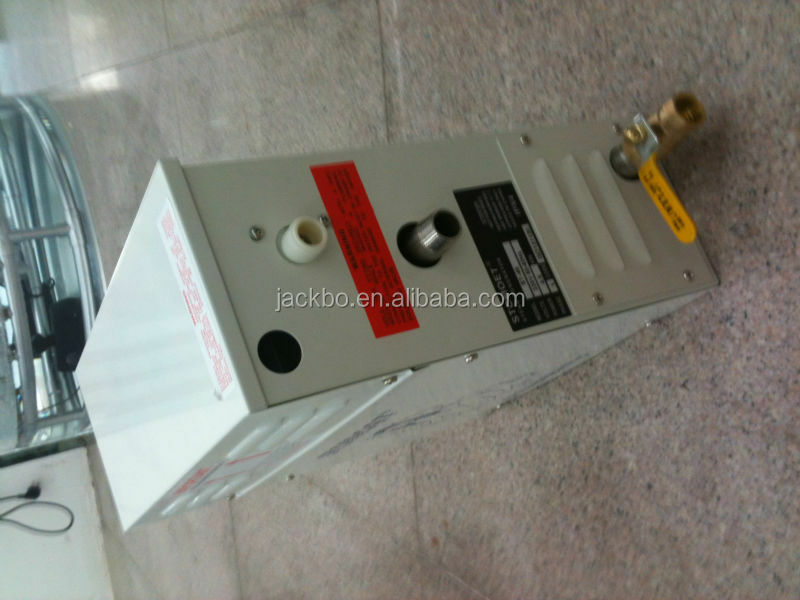 Industrial process high-quality 304 stainless steel heating elements with Teflon, corrosion-resistant. Water inlet valve enhanced for 10 million operations. 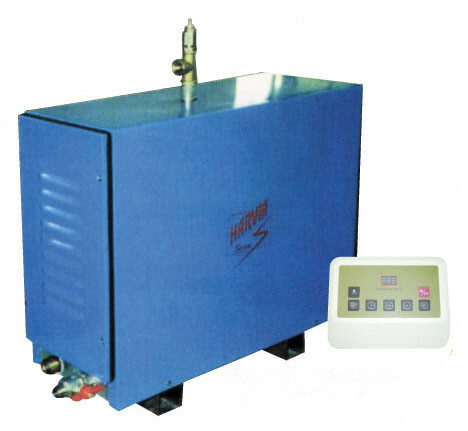 Excellent insulated steam boiler improves energy efficiency and safe operation. Promotes well being and a total body experience. Packing:Usually we adopt plastic film to pack, if necessory, we will use wood frame or polywood to protect the product. 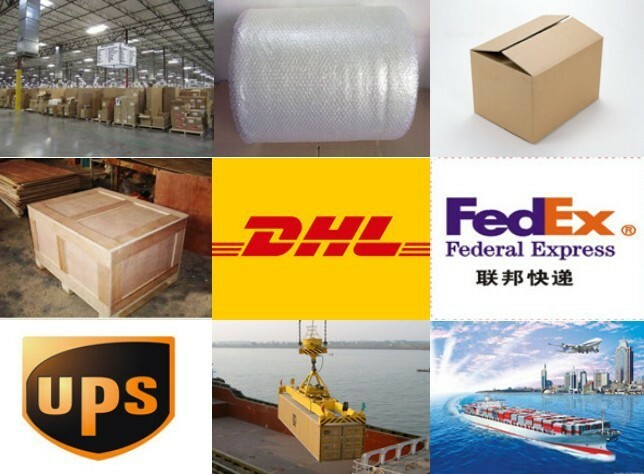 Shipping:And you can choose different transportations for shipping, such as air, sea, land and so on. 1) High quality with reasonable price. 6) 15 years production and sales experience. 7) One of the biggest company equiped with complete range of swimming pool products. 8) All products 100% tested. 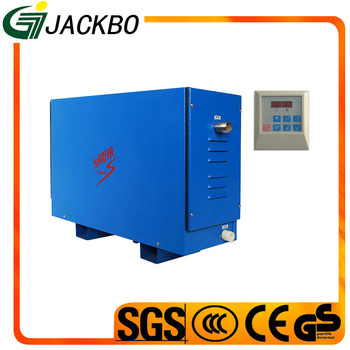 Guangzhou JackBo Co., Ltd. Established in 1999. It is a professional trading firm in the swimming pool equipments and sauna equipment,SPA equipments and fountain equipments. 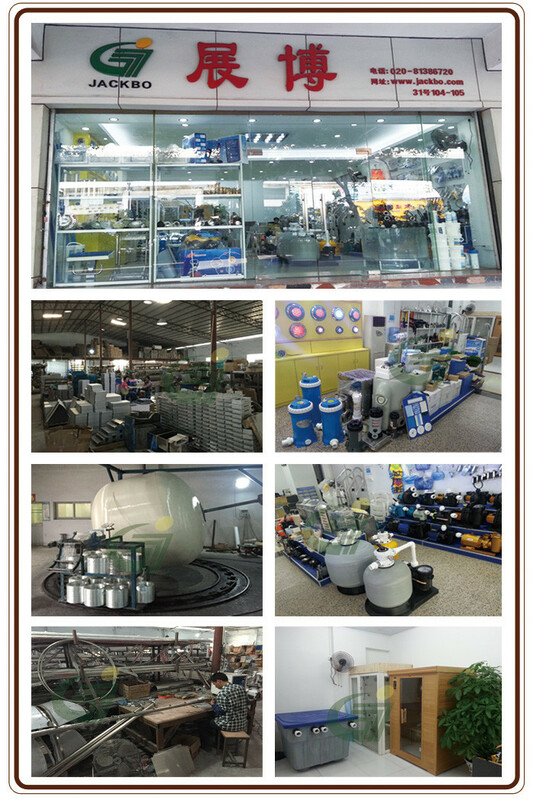 Our company, 50 workers, 150 Square meters Samples show room, 15 years experience, 3 years' vendor of Wall-mart, ISO, CE certificated, utilize ISO processes strictly to ensure that you will get high quality products with factory price.Welcome to visit our samples show room! We provide clients with service as product sourcing, design and engineering, OEM manufacturing.quality control,shipment inspection. T/T,Western Union,Money Gram,Paypal and Bank Transfer, also you can pay by cash. 2.Do you quote at the price of FOB? We usually give the price at EXW(factory price).If needed, we also can give the price at FOB. 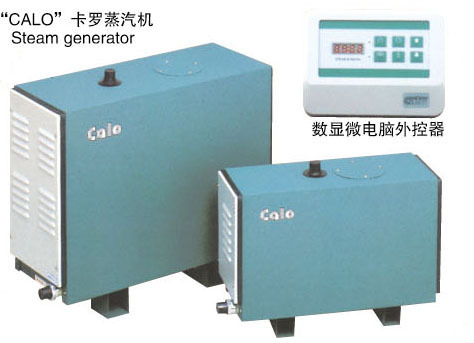 4.Can you produce the product according to customers' requirements ?